The Fort Bend County Libraries Book Festival will showcase a line-up of storytellers, artisans, performances, and workshop. Featured author Chitra Divakaruni will share her experiences becoming a published writer. Members of Writespace, a grassroots literary arts organization, will present a workshop for new and emerging authors who would like tips and insight into the writing and publishing industry. There will be performances by Yaupon, an indie rock band whose music is inspired by popular ‘70s tunes, and Phrolic, a rock and jazz fusion group. Educational entertainer Julian Franklin will mesmerize kids of all ages with his interactive reading show that incorporates books, puppets, and magic. Visitors will also be able to view the photographic exhibit, “The Arts of Russell Autrey: Artist, Photographer, Ractonteur.” Autrey will be on hand to greet guests, and copies of his book of photographs will be available for sale and signing. 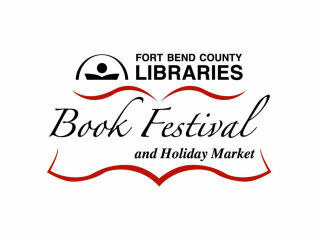 The Friends of the Library will have a big Book Sale & Holiday Market; proceeds will go toward the Friends of the Library and cultural events such as the Book Fest.